Queens Borough President Melinda Katz is again calling on NYC DOT to create a master plan for bike lanes in the borough. “It’s a good thing, bike lanes,” Katz said during her annual State of the Borough speech this morning, reports Transportation Alternatives Queens organizer Juan Restrepo. It’s good to hear Katz express support for expanding the Queens bike network, which is much more sparse than Brooklyn and Manhattan. But in calling for a borough-wide bike master plan, her new statement echoes comments she made in May against Mayor de Blasio’s decision to move ahead with protected bike lanes on Queens Boulevard in Elmhurst, overruling a community board vote. To my repeated requests last summer to DOT for a borough-wide perspective on bike lanes, the agency stated they were unable to accommodate such requests because bike lanes are solely community-driven and community-generated. The Community Board’s vote this week, however, contradicts the assertion that this plan is driven and generated by the community. At the very least, it indicates failure on the part of the agency to adequately address the Board’s concerns on the proposed plan. Instead of approaching bike lanes in a vacuum and in piece-meal, segmented fashion, the plan should be postponed for now until the agency can produce a truly community-driven, community-generated, borough-wide plan for the future of bike lanes not only along Queens Boulevard but throughout the borough. Laying out a long-term plan for Queens bike infrastructure could be a productive exercise, but not if it means suspending bike lane expansion during the process, or letting narrow community board membership set terms instead of the broader public. That would delay important projects like the next phase of the Queens Boulevard redesign, and ultimately set Queens back even further compared to other boroughs. The boro president’s power is mainly the power of the purse and appointing involved citizens to community boards. I wasn’t surprised to see Katz backing her CB members vs the Mayor / DOT. – If the Boro Board approves a plan that says we should have a bike lane on X street and that still needs to go to each individual CB for approval that’s just an extra layer of bureaucracy for everyone. – However, if the Boro Board approves bike lanes on X street and the only matter up for discussion is the type of bike lane then that is a useful step forward. I’ll say it again: community boards are obsolete. Why was in necessary to create an appointed body to “represent the community?” Because City Council member were perpetual incumbents and part of a racket that did not. Still the case in some places. But for the most part term limits changes things to the point where member of the City Council are representative for better or worse. Unlike, say, members of the state legislature or the federal House of Representatives. We need to be able to plan and expand this infrastructure knowing that it serves neighborhood residents as well as residents of the broader city, and as such the interests of the larger population need to be balanced with local input, not steamrolled by it. Every New Yorker has a right to be able to walk or bike safely in any neighborhood, whether they live there or not. We must pursue bold, necessary redesigns of major arterial roads like Queens Boulevard, Woodhaven Boulevard, and Atlantic Avenue- while also collaborating in designing local bike/walk networks around local needs. To be fair, NYC desperately needs a bike master plan. The current “do random projects randomly” approach has outlived it’s useful life. That said, the call for a master plan should be coming from bike advocates (like Streetsblog! ), not people known to oppose bicycle projects. Great! But not great! Until she is able to demonstrate some real commitment to bicycling and non-driving modes, she is essentially a joke. Now, I am saying I really, really, really hope she is serious. But she’s been a pretty weak Boro president thus far. Rarely see her at anything involving bicycling, pedestrian issues or speaking up for better transit. Queens is unique in that, yes, there are large parts of the boro that have a difficult mathematical formula for being able to get real alternatives to driving a car to get around but there are other areas that are intensely multi-modal, and you never see her talking about that. You also don’t see her coming out championing BRT corridors because she seems to drive everywhere she sees those projects as slowing her own driving even though they would benefit so many more residents of Queens. So let’s sit back and see what she does, does she become a true believe or is it just lip service and a delaying tactic. Making Queens better for all transportation modes is hard work that requires years of advocacy, not just a few lines in a speech. 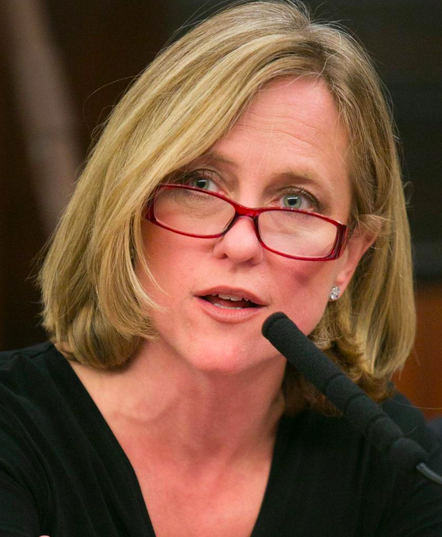 Why Is Queens BP Melinda Katz Refusing to Divulge 2015 CB Appointments?